Barnes Recycling patrons are not just one-time customers. Our success is rooted in maintaining solid, long-standing customer satisfaction results from our commitment to pay competitive rates and provide superior service. We give top value for scrap metal dealers because our prices are based on active commodity markets such as LME™ and Comex™ and true weights determined by our regularly calibrated State Certified Scales. You, too, can take advantage of our straight-up pricing and variety of unique, formula-based pricing structures to get the maximum amount of profit off of your scrap! If you would like more information about Barnes Recycling or request details on becoming a dealer, please complete this brief form. You will be contacted by one of our associates as soon as possible. Barnes Recycling - Public Welcome! 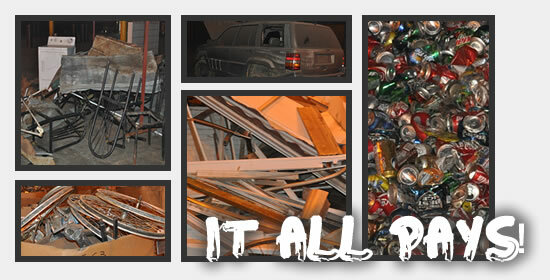 Public scrap metal prices are available by calling 865-397-9040 or stopping by our new facility in New Market, TN. Prices are subject to change without notice. Copyright © 2019 Barnes Recycling - Tennessee Scrap Metal & Aluminum Recycling. All Rights Reserved.